Home » VectorVest » Keep buying SciSys (SSY.L) says VectorVest. Notwithstanding the success of our call last year, fundamentals and charts continue to impress. Keep buying SciSys (SSY.L) says VectorVest. Notwithstanding the success of our call last year, fundamentals and charts continue to impress. By Harry Dacres-Dixon in VectorVest on 3rd October 2018 . SciSys Plc (SSY.L) is a leading developer of information and communications technology services, e-business, web and mobile applications, editorial newsroom solutions and advanced technology solutions. The Company operates in a broad spectrum of market sectors, including Media & Broadcast, Space, Government and Defence and Commercial sectors. Customers include the Environment Agency, the Ministry of Defence, Airbus Defence & Space, Thales Alenia Space, Arqiva, Vodafone, the European Space Agency, Eumetsat, the BBC, Radio France, RTL, RNLI, Pets at Home, Siemens and the National Trust. Employing around 580 staff, the Company has UK offices in Chippenham, Bristol, Leicester and Reading and German offices in Bochum, Dortmund, Darmstadt and Munich. The share of SSY.L is shown above with the share about to break above a 3-month high. Summary: A scintillating interim results performance from SSY shows the diverse revenue opportunities open to the company, and also shows how much progress has been made since VectorVest first highlighted the company here last year. 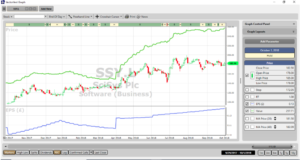 But as can be seen, debt is falling rapidly, a loss has turned to a profit, and SSY now sits with a huge forward order book. 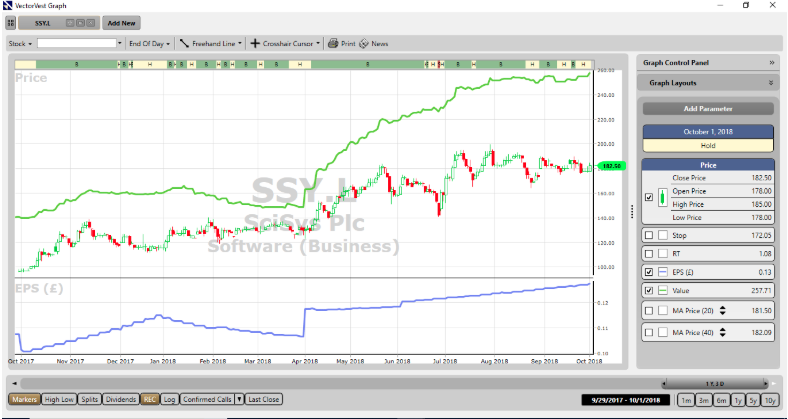 Notwithstanding the success of our SSY call last year, fundamentals and charts continue to impress. Keep buying.